Parliament says various emails have been sent bearing the NCOP chair’s name, requesting the recipient to transfer large sums of money to an undisclosed account number. 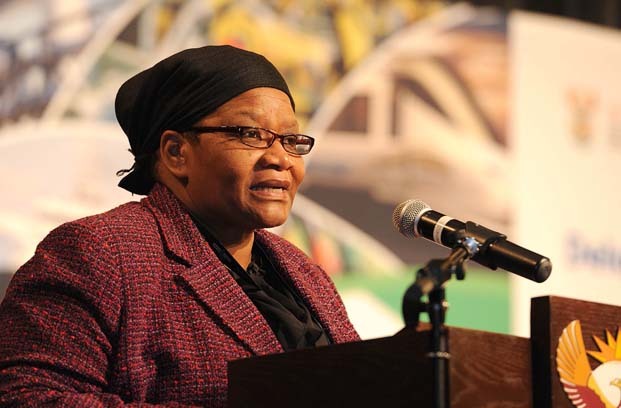 Parliament on Wednesday warned of a scam using the name of National Council of Provinces (NCOP) chairperson Thandi Modise to try to defraud victims of large sums of money. “Ms Modise has seen various emails, sent from an email bearing her name, requesting the receiver to transfer large sums of money – about R80 000 – to an undisclosed account number,” said a statement issued by parliament. “In the emails, the writer claims that Ms Modise cannot take calls, but is only available on email and promises to return the ‘loan’ after a few days. Several members of parliament in the NCOP and members of the public have confirmed receipt of this email. At least one of Modise’s acquaintances has already fallen prey to this scam. “It is not the first time scams of this nature, involving Parliament’s Presiding Officers, have occurred. This happened several times during the fourth democratic Parliament – asking, on fake Parliament letterheads, for money to be deposited into fake bank accounts in the name of then Speaker of the National Assembly Mr. Max Sisulu,” said the statement, adding that anyone who has received such a letter or email “is urged to come forward to assist with the investigation”.